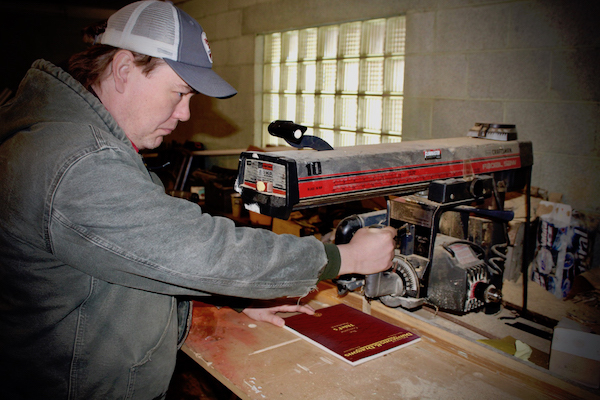 Professsionally, Jason Hughes is a carpenter, but his passion is roleplaying games – in particular, LARPs. He has been playing RPGs since the mid 90s. 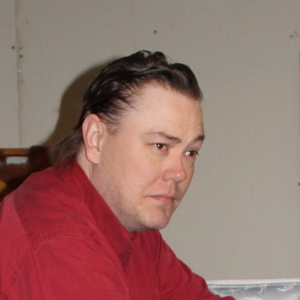 Jason got his gaming start in wargamming, CCGs and tabletop roleplaying, but then quickly discovered boffer LARPs. From there, he moved into World of Darkness parlor LARPs, even running a Shinning Host game for awhile. Ever since then, Jason has been running tabletop games and LARPs consistently. For two years, Jason was the Organizational Storyteller for the Cam/Anarch/Independent Alliance venue of Underground Theater. During this time, he also worked on various development think tanks for By Night Studios. Now, Jason is pursuing developing his own projects and trying to teach himself how to write games. Jason - The Favorite has hosted 43 Episodes. The On A Roll hosts are joined by game designer Josh Heath to talk about his companies, as well as learning all about how to create content for the White Wolf Storyteller's Vault. This special episode celebrates the fun had at Free RPG Day! The Curmudgeon, the Legend and the Favorite spent the day at Dicehead Comics and Games in Cleveland, Tennessee, where they played a ton of Dungeons & Dragons, got some great free shwag from some wonderful games and got to know a gaggle of local gamers in our community! Join Ryan, Carie and Jason as they get down in the trenches with Chad, Painter, Benito, Ian, Stacy, Marty, Scott and Dakota! This week's episode is tuned to the key of E vil as the Curmudgeon, the Legend and the Favorite explore the differences between villains and bad guys. Ryan, Carie and Jason debate the finer points of constructing great antagonists and how these NPCs interact with the story being told. We are all players. Some of us are better players than others, but what qualities make a player "good?" The Curmudgeon, the Legend and the Favorite take some time this week to delve into the traits that make a great player. Dividing the conversation into the Internals and Externals, they get into the meat of things we all can do to play better and have more fun. Role-playing game communities, like most communities, have become increasingly aware of issues like safety, inclusion and behavioral problems. This week, The Curmudgeon, the Legend and the Favorite tackle the difficult and often uncomfortable topic of toxic players, toxic game runners and toxic environments in the world of tabletop RPGs, LARP and MUSH, and they explore ways we can all help to make our gaming spaces healthier. Where do ideas come from? The Curmudgeon, the Legend and the Favorite explore the process of creativity and how great ideas are born. Join Ryan, Carie and Jason as they talk about coming up with ideas for plots, characters and settings. The Curmudgeon, the Legend and the Favorite tackle the difficult subject of The Unpermissibles – the triggering topics that should really never be used as plots in your games. Join Ryan, Carie and Jason as they discuss maintaining player safety, understanding why the Unpermissibles are so damaging and how to navigate them within games you play or run. This week, the Curmudgeon, the Legend and the Favorite talk about the importance of clearly understanding and communicating what the game you are running is to your players to help balance expectation and manage the feel. It's about Communication, interpretation and expectation. In their second episode, the Curmudgeon, the Legend and the Favorite discuss the current epidemic of buzzwords used to market tabletop gaming, LARPing and MUSHing. Accessible, blockbuster, bleed, immersion and transformative are just a few of the words Ryan, Carie and Jason explore. 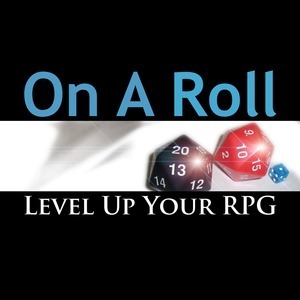 In the very first episode of On A Roll, the Curmudgeon shares the tale of his first tabletop rpg and the demon who ran the game, The Legend recalls her first D&D game and The Favorite talks about his first boffer LARP. It's a trip through time that ends with exploring the idea of first games and how new players navigate their first exposure to the role-playing game hobby.